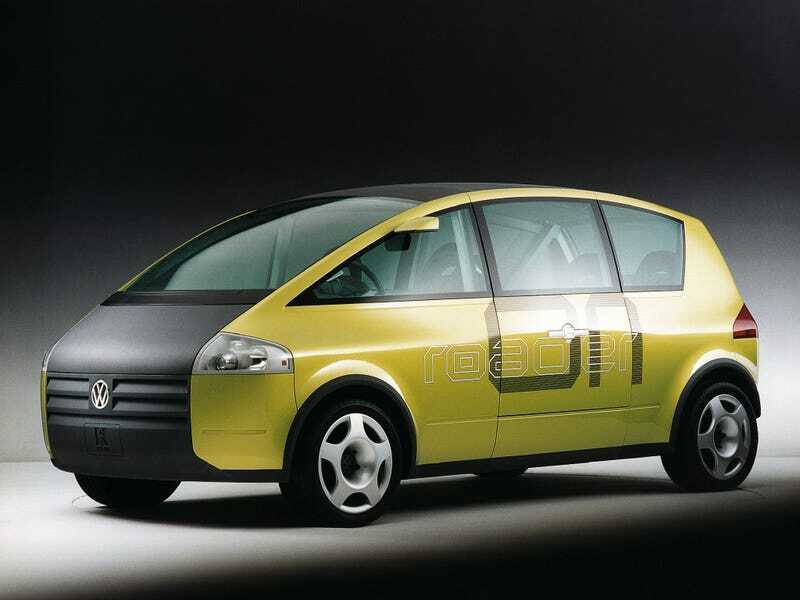 The 1995 Volkswagen Noah: embodying the curvaceous Bauhaus design ethos of VW in the 90s. There’s a whole lot of the later Jetta and Passat in the surfacing and cutlines. A spacious (but small-footprint) one-box six-seater. A large central door on the side allowed for a huge amount of wrap in plan view, without necessitating a giant empty space between the cowl and steering wheel (like the New Beetle). Always liked this thing. I don’t think much of it could have realistically translated to production, but a lot of the surfacing treatments that debuted on it went on to influence everything they made in the later 90s-early-2000s.